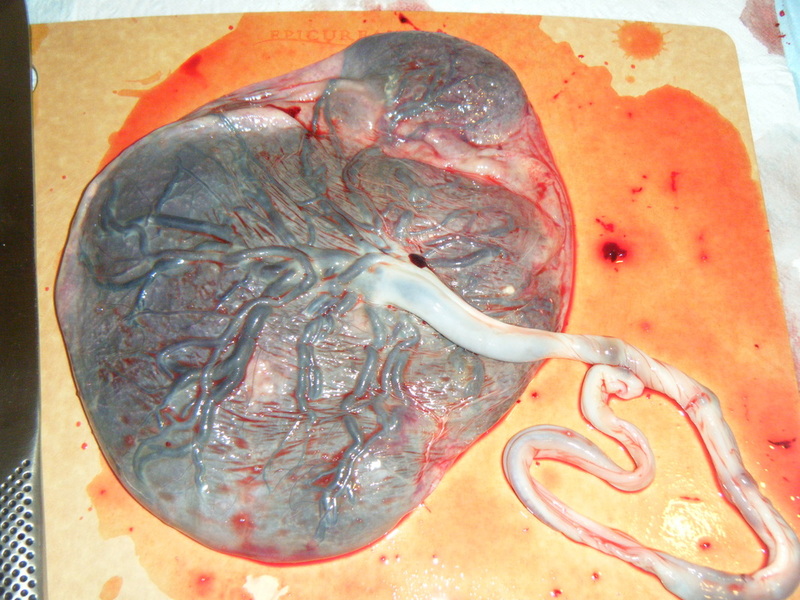 A normal-looking placenta with the cord inserted in the center. This is the baby's side. This is the mother's side. It was attached to the wall of the uterus. 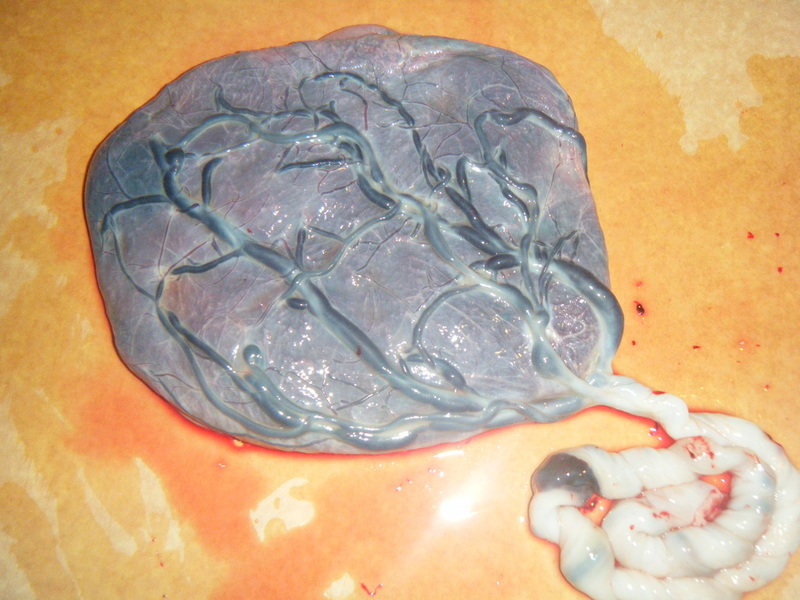 A cool heart-shaped placenta I worked on one year around Valentine's Day. This placenta has an extra lobe, called a succenturiate lobe. A close up of the marginal insertion. A cool shot of the amniotic sac. The baby lived inside there!